When Lloyd Center opened on Aug. 1, 1960, it was not only the largest mall in the United States, but a game-changer for Portland retail: the first significant challenge to downtown as the Mecca of local shoppers. Flash-forward to 2017, however, and Lloyd Center is, at best, a work in progress. 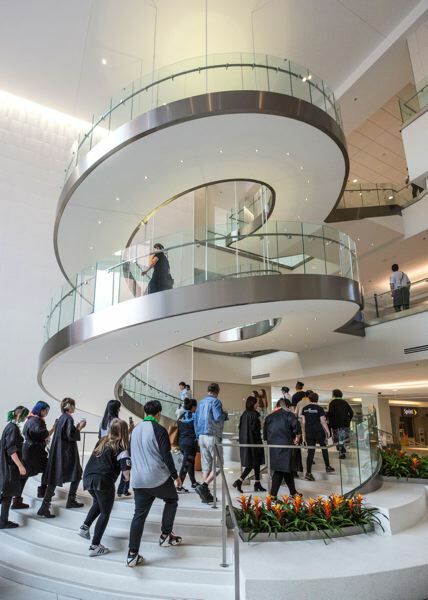 This summer the mall's owner, Dallas-based Arrow Retail, unveiled a new pedestrian entrance and a striking spiral staircase off Multnomah Boulevard. But in truth it's wedged between the parking garages that still dominate Lloyd Center's perimeter. Even so, instead of winding through a department store to reach the mall's skating rink and smaller retail shops, you can just walk right in. 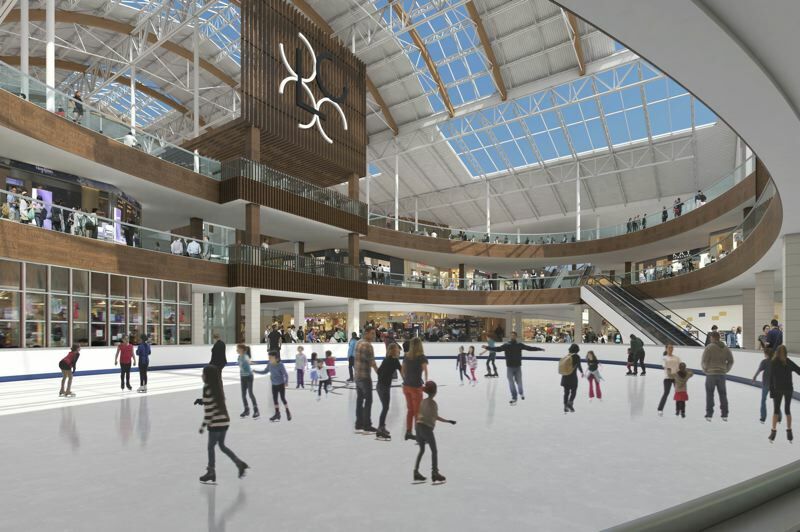 While the mall's tenant vacancies are unmistakable — from former anchor tenants like Nordstrom and Sears to a host of empty smaller retail spaces — Arrow's $100 million, multi-phase renovation, set for completion in 2019, includes plans for a grocery store, a 14-screen movie theater and several new restaurants. To survive competition from online shopping and neighborhood high streets, malls must become not just places to buy clothes, knickknacks and fast food but offer everyday activities. Even so, that $100 million will not be enough to save Lloyd Center, because it's still an unwelcoming fortress and a continuing eyesore. More specifically, it's not a mall with parking so much as the city's biggest parking garage with some shops tucked in the middle. The proliferation of American malls in the mid-20th century was largely a suburban phenomenon, with shopping centers surrounded by oceans of surface parking lots. Yet because Lloyd Center is located in central city Portland, where land is more expensive, it utilizes multilevel garages instead. But these garages so dominate exterior views of the mall that it's actually difficult to even see its brick and mortar façade — let alone a window. Other than that new entrance, only one corner of the mall (to the southwest) is even visible. Urban Planning 101 teaches that parking garages, while practical and necessary, can be fatal to street-level vitality when clustered together. But even standing at Lloyd Center's new entrance, Multnomah Boulevard is a wasteland. Where retail storefronts should be making this a thriving shopping district, the garages make every view of Lloyd Center like looking at the back of the house. The good news is a new generation of high-density Lloyd District apartment and condo buildings is bringing more local shoppers to the mall's front door. And because property values are rising, the solution this mall desperately needs may eventually pencil out: underground parking, which would allow Arrow to not simply carve a path through the stacks of parked automobiles but to truly make the mall an identifiably welcoming place. Many years ago I covered a design competition in Los Angeles called "Dead Malls," which sought new life for abandoned shopping centers across the United States. Entrants mostly offered single-use solutions from community college campuses to prisons. But really only one solution works: to stitch behemoths like Lloyd Center back into the city fabric. 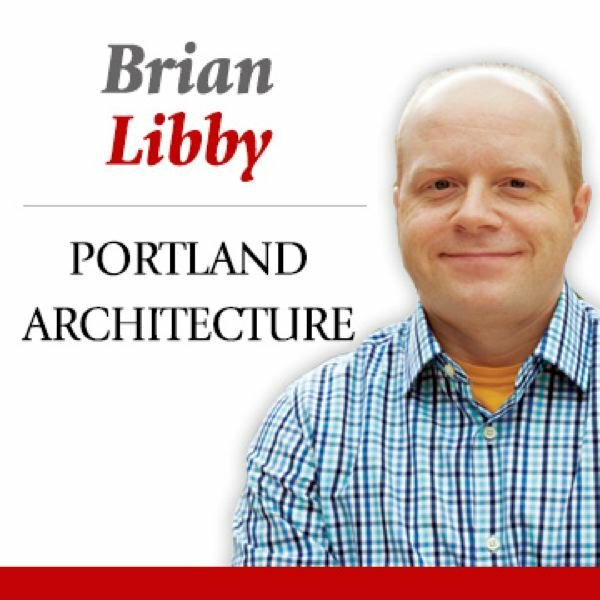 It's not too late for Portland's signature mall, but the clock is ticking.